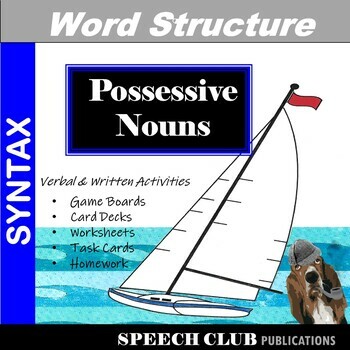 Tackling Possessives - Games & Worksheets for Managing Possessive Morphemes is designed for students who have not yet established the morphological rules needed to form possessive nouns. The program provides activities that target an understanding and use of the morphologic rules necessary for the formation of possessive nouns. It includes a series of lessons to improve the comprehension of morphological distinctions and the production of the possessive noun form in verbal and written communication.